One by one students showed up to Hermitage Springs Elementary School today and one by one Principal John Denton tried to make sure they were okay, after one of their classmates was killed in a tragic shooting on Monday. 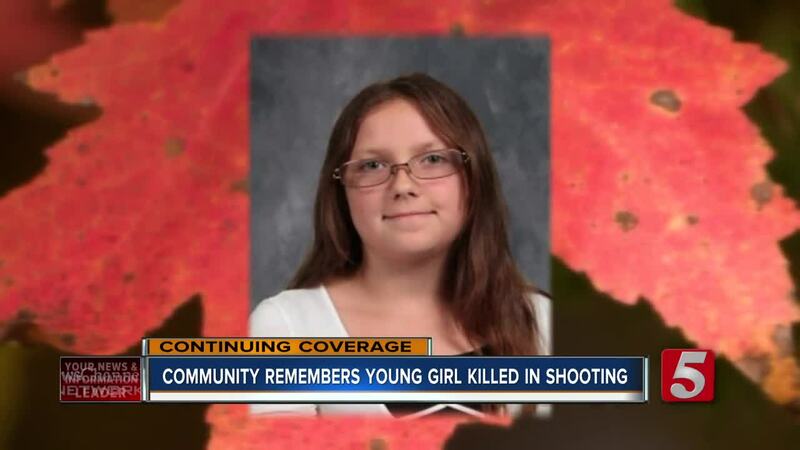 Harley Evans, 11, was shot and killed inside her family's home in Clay County . Officials say the man responsible, Jacob Snyder, also shot Harley's father and her father's girlfriend. Both remain in critical condition at Vanderbilt University Medical Center. Harley and her younger sister were both in the same 5th grade class at Hermitage Springs where counselors were on hand Tuesday trying to help them process why Harley was not coming back. "It's been very difficult, it seems like a total waste of life," Principal John Denton said. After the shooting that left Harley Evans dead, her sister ran to the end of their driveway on North Fork Road where by chance their school bus was pulling up. Driver David Williams saw the young girl in distress, got her onto the bus and immediately took the young girl and other students to safety at a nearby fire hall. "You don't know what you would do in that situation but he did the right thing," Principal Denton said. "Most of the time they've been students here they've rode his bus so he's seen them grow up from little bitty girls," Denton added about the school bus driver who he calls a hero.